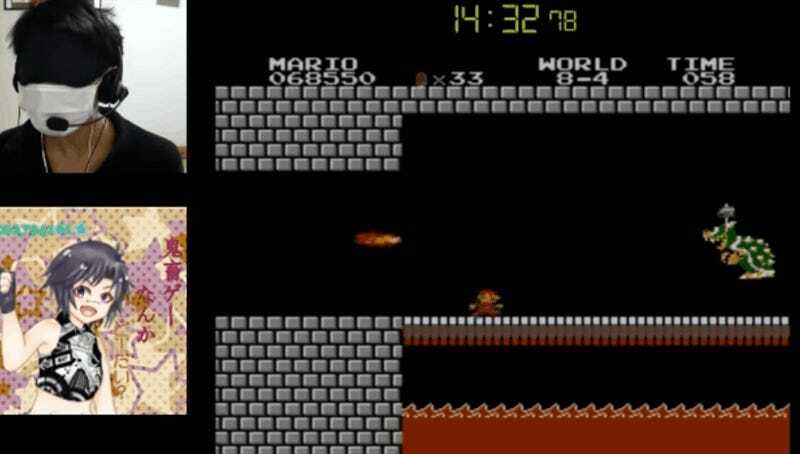 For three months, one man has been practicing Super Mario Bros. without actually looking at the screen. That work has now paid off. It’s cool to see how, exactly, he accomplishes this feat. A lot of it comes down to timing, and you can definitely hear the player counting during certain portions of the run. What really stood out to me is that he makes ample usage of the fire flower power to get a sense of where he’s standing. It’s like a digital version of echolocation. Also, he sings while playing, and it’s really cute. I love when he finally gets to 8-4, too. The sense of excitement is palpable. And when he finally defeats Bowser? Man. It’s downright emotional. Congrats, きらめきでどーだい. You did it!